A friend and airlineblog reader Amar Singh Solanki has shared this tip off that can save you thousands of rupees on your dream Europe trip from India. There're tickets available from Ahmadabad, India to Zagreb, Croatia one way for just Rs 5500. If you had Europe on your mind, book NOW. It won't get any cheaper than this. Zagreb is a new destination launched by Fly Dubai and this could be a limited seat promotion. Travel dates- cheapest tickets are available for select dates in Dec 2018, March 2019 etc. Check one way fare, not return. Even if you're not in Ahmedabad/Hyderabad, you can plan a flight to Ahmadabad from anywhere else in India for about 6k-8k return max- still makes sense. Unfortunately this ultra cheap fare is only available for onward journey. 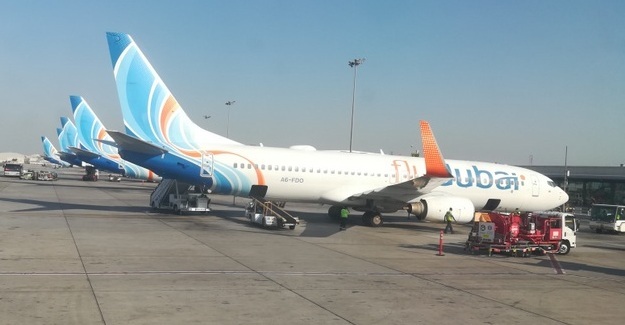 Return ticket will cost about 25000 if you are on flydubai. Jet Airways is running a 30% off sale- you may get Paris-Chennai, Paris- Mumbai or AMS-Mumbai etc for a good price. Thanks to Amar Singh Solanki for the tip off. If you spot such killer fare, do let us know. I think the key here is to check oneway fares as well and not limit oneself to searching return tickets. Great , Very useful post. Its really cheap, great to know. This is incredibly insightful travel/consumer journalism.